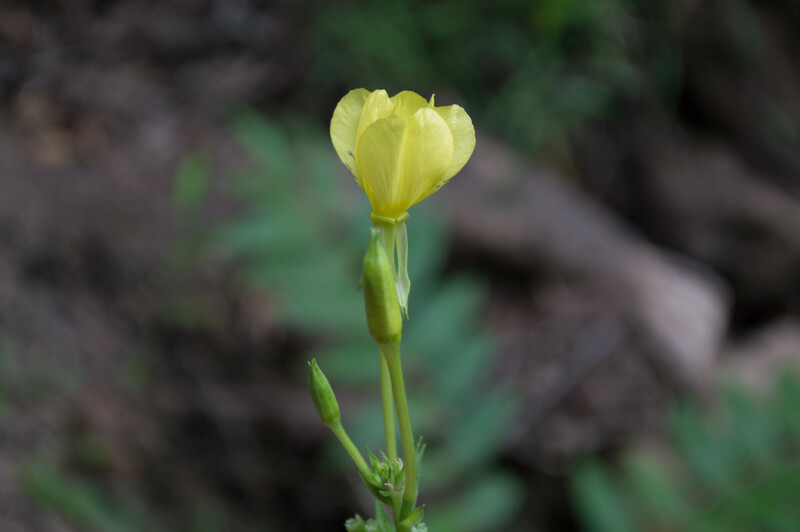 Sixty six species of Oenothera are found across the US, all but five of which are native. This one is the most widespread; it can be found everywhere except the arid West. Some authorities list it as a problematic weed. The plant can grow to six feet tall, though three feet is more typical. Flowers open in the evening and close in the morning, though they may stay open longer if the skies are overcast. 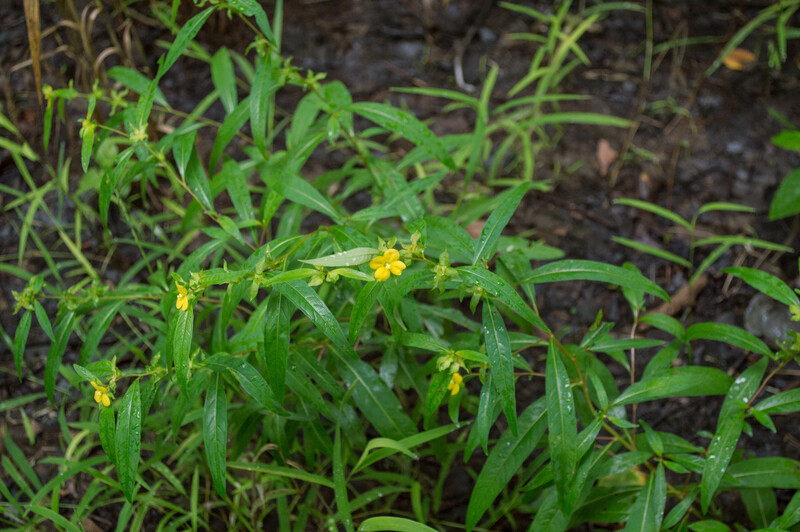 I found this plant mid-morning on one of those weedy low rocky bluffs that jut into the river. Those areas are often covered in poison ivy and alien invasives, but I almost always find something really interesting there, too. 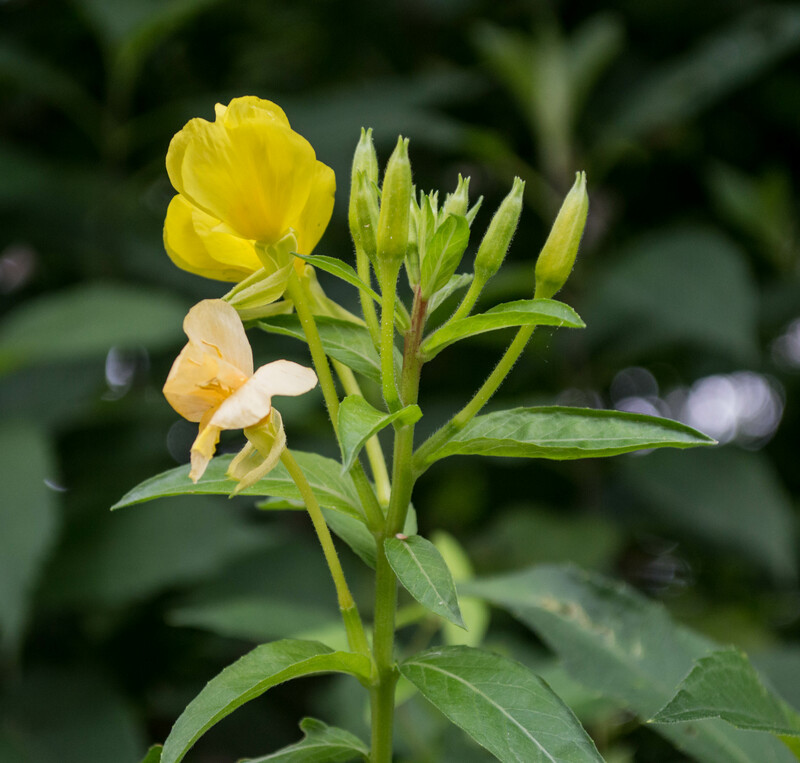 This entry was posted in Uncategorized and tagged enchanter's nightshade, evening primrose, Ludwigia, native plants, Oenothera, seedbox, wildflowers by elizabeth. Bookmark the permalink.